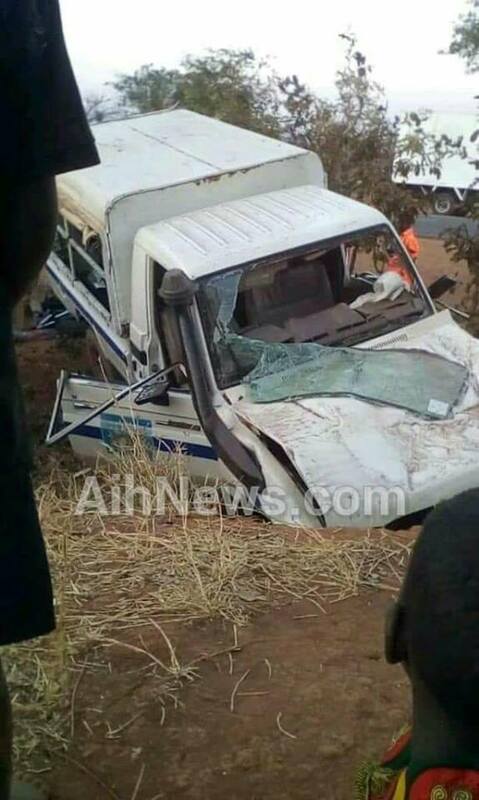 Five people including police officers have sustained different injuries after a Malawi police vehicle they were traveling in got involved in an accident with a freightliner truck at Mponela in Dowa district. According to police report seen by this publication, on Tuesday around 17:30hrs, a police land cruiser registration number MP 2251 being driven by Sergeant Kaondo of Lilongwe police was heading to direction of Lilongwe from Kasungu. While on the way, it encountered a frightliner truck with registration number NA7517/SA6207 which was heading to the same direction and being driven by Mr Steve Nkosana aged 40. Upon arrival at Chakhaza turn off, the police vehicle attempted to overtake the truck but in the process it hit the fuel tank of the truck and the driver lost control of the vehicle then went to the extreme offside of the road where the vehicle hit an embarkment. Due to the impact, superintendent Phaka sustained head injury and painful right leg, Sergeant Austin Kaonda sustained multiple cuts on the face, Mrs. Aida Phaka sustained fracture on the Left lower arm, Miss. Annie Kapesi sustained a fracture on the left thigh while Gabriel Phaka sustained a cut on the head. All casualties were taken to Madisi mission Hospital where they are admitted. The police vehicle had its front part extensively damaged, front windscreen shuttered, both front tyres removed and both doors damaged while the truck had its middle tyre burst and fuel tank dented.